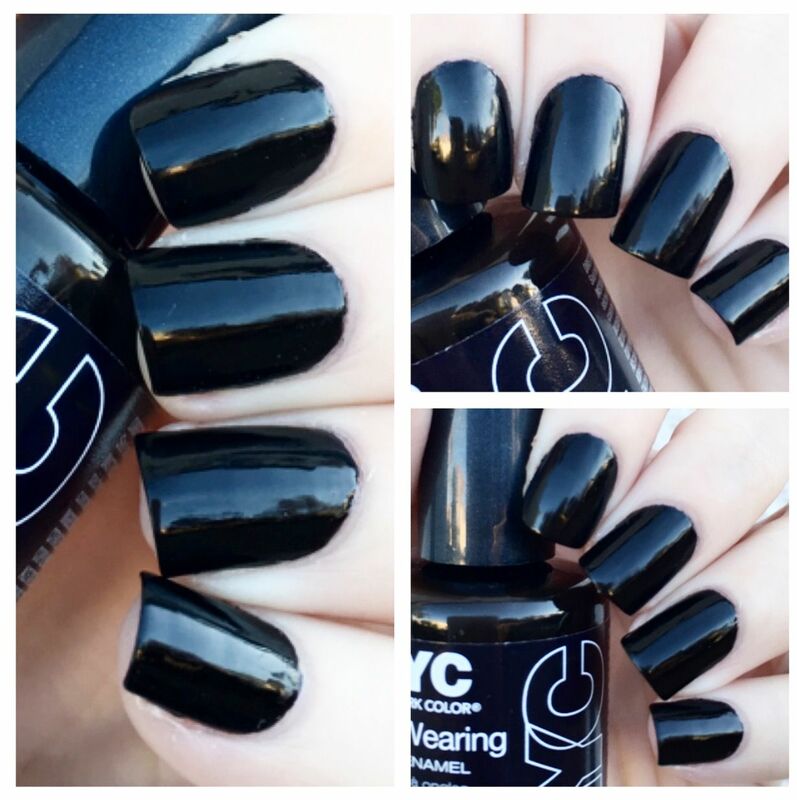 Two coats of NYC New York Color Long Wearing Nail Enamel in Black Lace Creme. Black Creme. Typically I reserve my NOTD posts for #ManicureMonday, but it's Halloween Eve, so I had to share my chosen color, so here it is. Black. Groundbreaking, I know. I always go for a black nail for Halloween because I usually dress as a member of the feline family every. single. year. so it feels appropriate. This year it's Black Lace Creme. For a black shade, this color was v easy to work with - not flooding the cuticles or anything. Granted, it did require two coats for opacity, and leans more towards a deep espresso than true black, it still fits the spooky bill I was aiming for! What nail color are you rocking for Halloween weekend? Thanks to NYC New York Color for sponsoring this post! Oh so cool. I like some NYC polishes better than others. Always good to have around for those quick fixes. I'm wearing ESSIE's GO Overboard. Love the results! Happy Halloween!